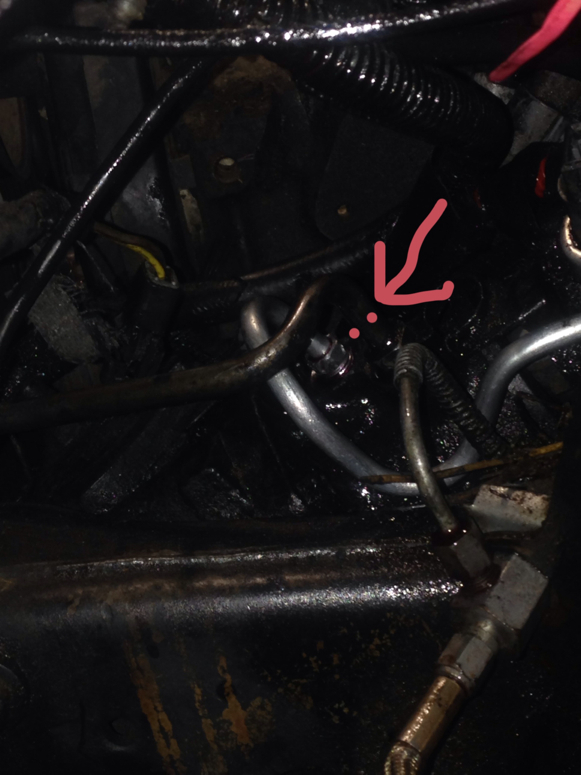 1993 ford ranger pressure hose leak HELP! You likely either cross threaded the line or just don't have it tight enough. You need to use a tubing wrench or a tubing crowsfoot to get it a little tighter. It can handle quite a bit if you're using the correct wrench. ^^^^ Hope your pic shows there. 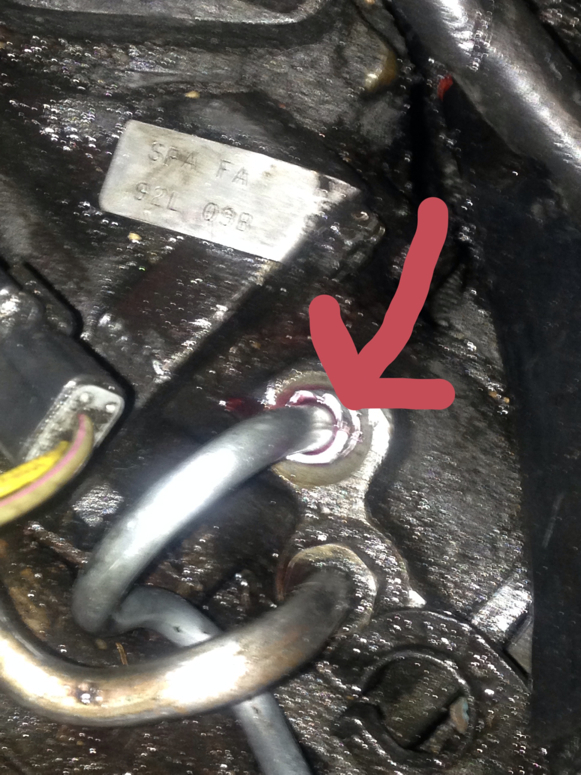 OK - Appears to me you've used just an open end wrench at some funky angle with the marks on the hex of the flare nut. Understood, you say you starter it by hand. My own feel is you get a couple good turns by finger and you have ruled out cross threading or about as sure as you'll get. The "crowfoot" wrench is tons better. They come in assorted styles and need just the right one sometimes. I would opt for a MAC or Snap-On, flare nut call it (socket) that accepts a 3/8th drive extension. Understand what the flare nut is really doing. The seal is the tubing and the machined bore in the hole not the threads. Those must be right sized and just plain tight (hard to state some torque #) should be plenty. I'm never concise so put up with it for a bit. Flare nut socket idea is a box wrench but allows more than just a two sided contact area to prevent what I see in your pic and you get the "real" feel of how tight it is. Web pics may fail but these are box wrenches of what would either be a 12 or six point with a cut out area for the tube. Depending on cut the socket/wrench is still either 5 of the 6 or 10 or so of the 12 points. ^^^^ Was there and if not look for images of "flare nut sockets" and see the countless different styles. It's wildly critical on things to use the right tools by location of these wherever they are used or ruin your whole weekend messing something up! Look harder at one above. That is forcing pressure on the most FLAT sides of the hex nut and NOT stressing out the points on that nut already show damage in your pic. You are probably still fine and now can't fake it with just any tools. Think about taking that totally out again and look at the line and the inside of the hole again if you are OK to go again. Really sorry for the book. You risk the receiving item as I don't know of a kit or adaptor it that is now messed up to rethread that properly to receive the tube of the line. You really could end up needing the box if this really is all messed up. Screw the line you could get another just never mess up the harder part with these type things. Of course they are always placed in tricky spots so you can need a variety of the same basic tools for just one of these! Suks - costs a fortune to have them all at the ready, trust me! Yikes, could be SAE or Metric too!! Just caught you before signing off. Do yourself a favor and go look at an assortment of what's available. Used to be sometimes Sears tool section had several to view all at once if you get the right help. They might have what you need and probably a set not just a single and IMO some of the stuff is fine there. Watch out for "sets" in metric especially missing size 16 + 18MM as those sizes get used a lot. The crow foot socket shown can be handy for an obstruction socket also for other things totally. Other places that may have just singles if you want to go that way would be parts outlets of most types. You might need/want to get a 3/8th breaker bar also if a ratchet head doesn't allow space and or extensions too. Tools never end. Don't get me wrong, I buy a lot of miscellaneous things from Harbor freight but hand tools is not something I would buy from them. Quality is way too important on those items and the Chinese stuff can do more damage than good.